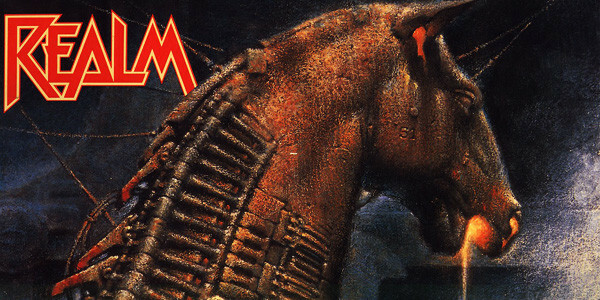 At this stage in their formidable career, Doom were defiantly daring Voivod to go ‘weirder’ and were ably conjuring up the same kind of dissonant, off-kilter melodies and warped ideas as Canada’s favourite sons. That’s not to say that Doom were ripping off Piggy and Snake and co. wholesale but you could throw Complicated Mind‘s title track onto Killing Technology and no one would have batted an eyelid! 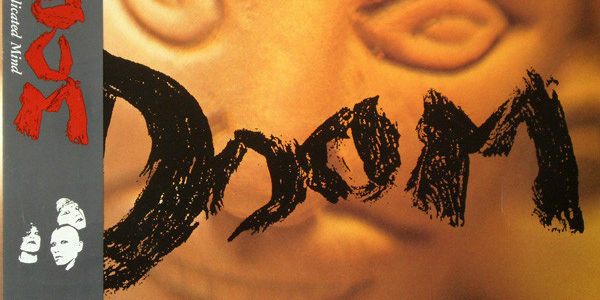 Still, inevitable comparisons with Voivod aside, Doom were their own beast and 1988’s Complicated Mind remains one of their greatest achievements. With Koh Morota’s incredible fretless bass work drawing comparisons with the genius that is Steve Di Giorgio, and the tightly-wound, futuristic riffing of Takashi Fujita blind-siding all but the most dedicated of progressive/tech thrash enthusiasts, it’s crystal clear that Doom have always been a very special band. Highly intricate and telepathically linked, the minds behind Complicated Mind were operating on a different sphere to us ‘mere mortals’ and this progressive/technical thrash masterclass still resonates today! This album is rightfully celebrated as a milestone in thrash history….and Metallica would never be this expansive and this experimental again. 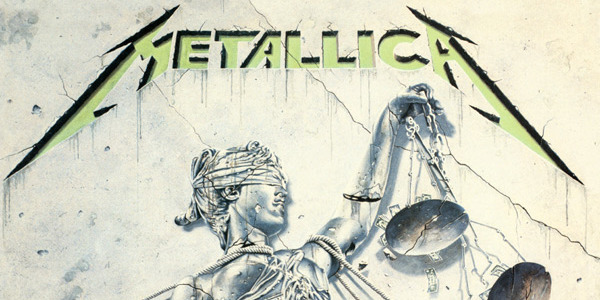 …And Justice For All rivalled technical thrashers Heathen, Realm and Believer in the progressive thrash metal stakes, as Metallica recovered from the death of Cliff Burton by proving they could not only survive without his guidance, they could flourish! While it may have its flaws (bone-dry production and Jason Newsted’s mostly inaudible bass spring instantly to mind) it remains a milestone of technical/progressive thrash. With a clinical approach bordering on maniacal obsession the likes of the epic “…And Justice For All” and “One” were the epitome of surgical precision and it was left to “Dyers Eve” to remind fans that this was the band that once penned “Whiplash”! “Do you hear what I hear?”, snarled James Hetfield on the absurdly catchy, stop-start rifferama of “Eye Of The Beholder”. We did James, and we still like it! Another technical/progressive thrash masterclass, Realm’s histrionic, kinetic and brain-scrambling debut still pummels the senses with its falsetto vocals and stampeding rhythms; ever threatening to career off the precipice of plausibility! The guitars are virtually impossible to pin down, a cacophonous aural caning containing endless shredding, lightning-quick picking, intricate leads, the odd surprising acoustic section and more sickle-sharp rhythm’s and hair-raising solo’s than seems humanly possible to assimilate. The frenetic pace of the entire album only shifts into a (slightly) lower gear for the likes of the slow-burning “Eminence” and the borderline balladry of “Second Coming“, while the classic sound of “All Heads Will Turn To The Hunt” helps to calm the pace of the attention deficit soloing and endless shifts in tempo that permeate through this accomplished debut. Before you see the light, you must.......LISTEN TO SOUTH OF HEAVEN!!!! !